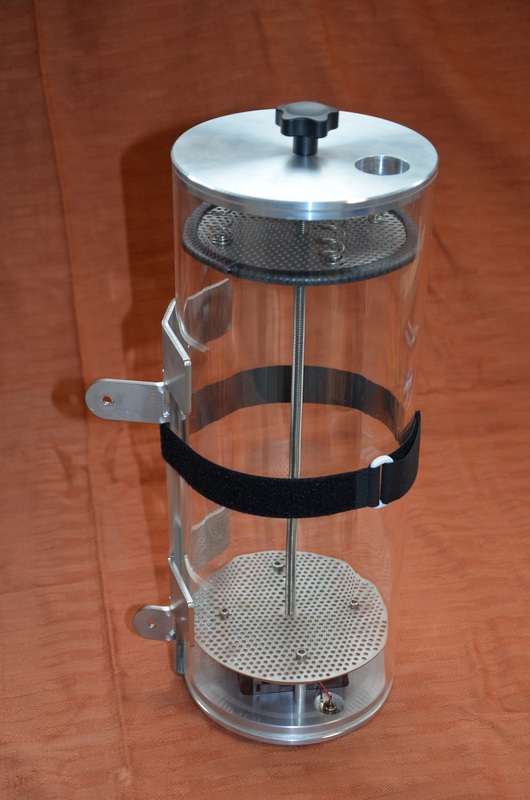 AiResearch Scrubbers are designed for small personal and research submersibles. The scrubber is of the axial type and has a built in radial fan. This keeps the noise level very low, under 50 Db. In order to make discolouring of the Sodalime visible, the tube is made from clear plastic. The power supply can be unplugged to renew the sodalime outside the submersible. All parts are made from corrosion resistant Anodised Alu, Stainless 316 and Acrylic plastic. The kit comes with manual. Scrubber duration is dependant on the absorbent material and atmospheric conditions. Rule of thumb is 4 man hours for 1 Kg. A backup scrubber /mask must be available for the case of power or fan failure. Monitor with 0-3% CO2 level instrument! Prices are excl. VAT. and transport. 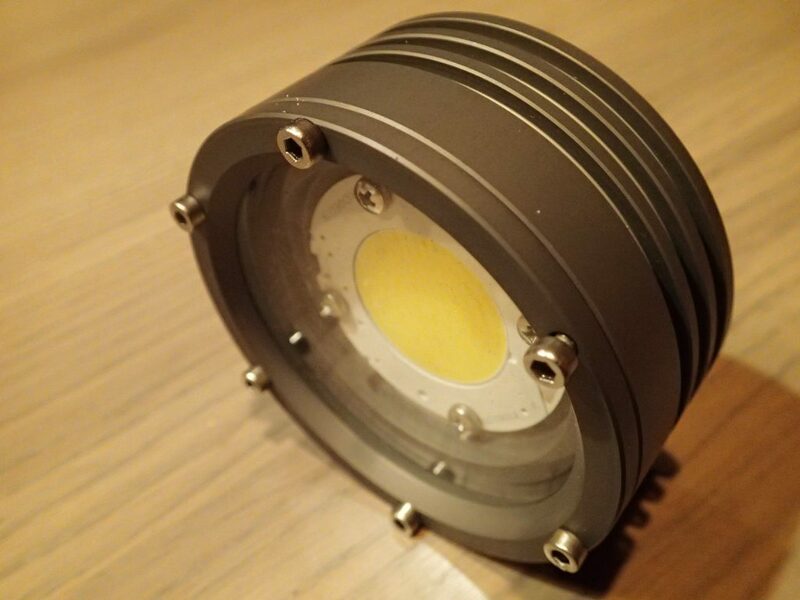 With 62 mm flood and spot reflector and Halogen bulb. Dimensions 80 mm outside diameter/ 40 mm long. 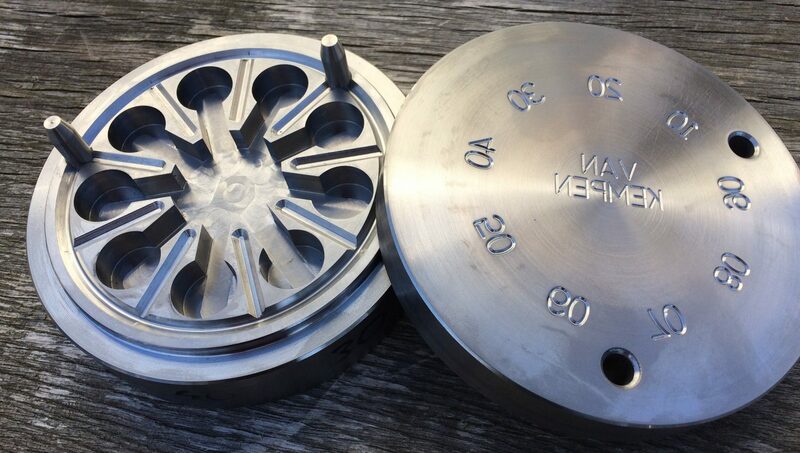 We produce Acrylic hemispheres with an OD of 610 mm ( 24” ) and a minimal thickness of 26 mm ( 1” ). 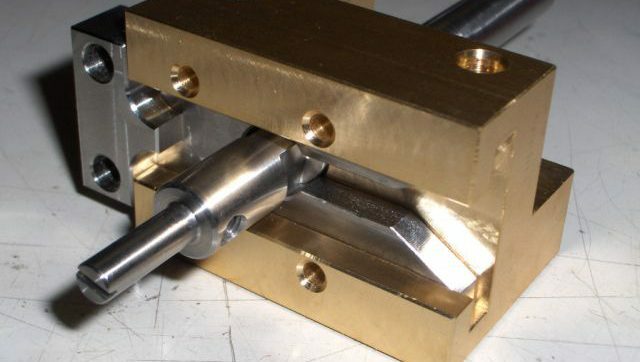 Prices inclusive machined edge and annealing. VAT and transport excl. An anodized aluminium seat ring can be made to your design. 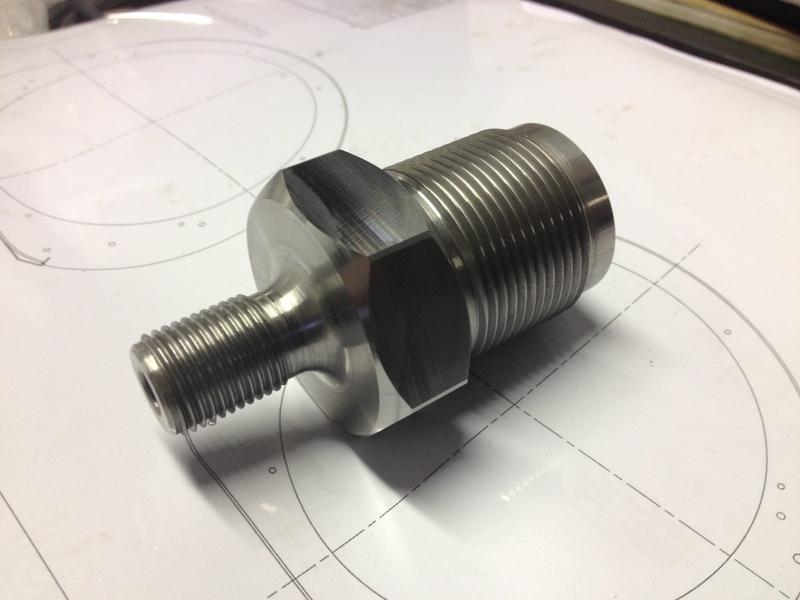 With the standard tooling we can also produce a 90-130 degrees 610 mm bowdome. Thickness is abt.40 mm. 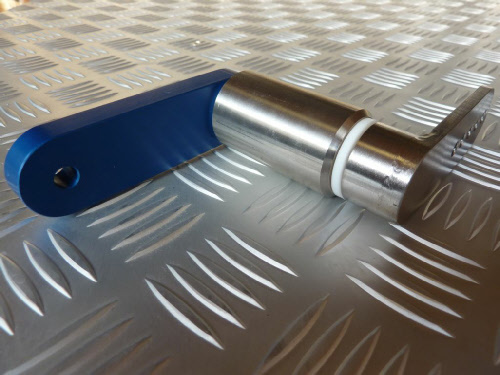 Other sizes up to 1000 mm are available on request. For logistic and liability reason no export to the US and Canada. 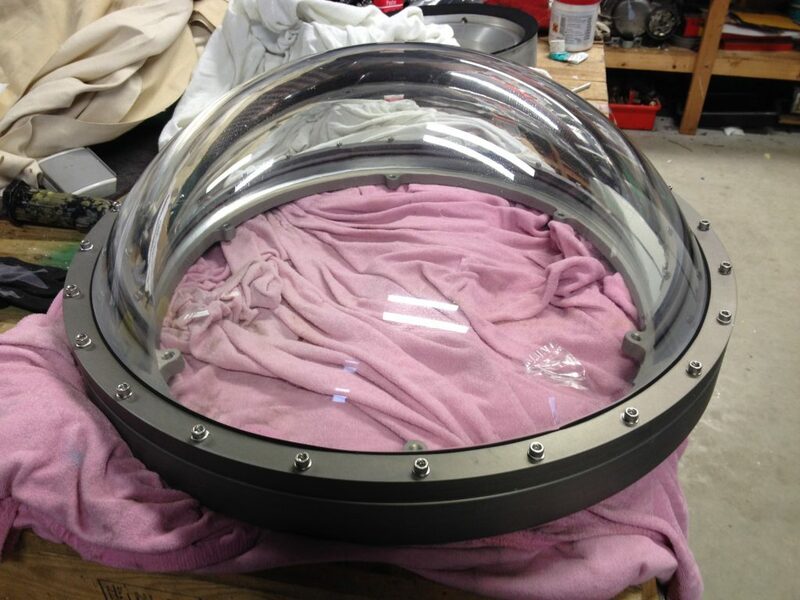 In stock : 1 hatch domering for 610 mm (24″) dome with O-ring groove. Intergrated hinge and handlebars. Depth rating 400 Meter.